Canada’s relationship with Donald Trump has reached a “new level of frustration” after the U.S. president’s comments this week on the arrest of Huawei’s chief financial officer, says a senior source. Canada recently detained the chief financial officer of the Chinese telecommunications firm Huawei, Meng Wanzhou, on an extradition request from the U.S. She has been released on $10 million bail. The Americans are hoping to have Meng extradited on claims she tried to bypass American trade sanctions on Iran and lied to U.S. banks. Canada has argued that the request to detain Meng was made at the officials’ level and was not politically motivated. President Trump, however, has said publicly he’s willing to intervene in the case if it would help further his country’s interests with China on security or trade — a statement that many saw as tainting the extradition process. The senior source, who has direct knowledge of the situation and spoke on the condition of anonymity, said the president’s comments were not helpful. Canada has not officially raised the issue with the U.S. administration, said the source, but Foreign Affairs Minister Chrystia Freeland will get the opportunity when she travels to Washington on Friday for a pre-arranged meeting with Secretary of State Mike Pompeo and Secretary of Defence James Mattis. The Wall Street Journal is reporting that Trump’s advisers have told him his options are limited in Meng’s case and have suggested he stay out of the matter. Tensions between Canada and China have been running high since Meng’s detention. 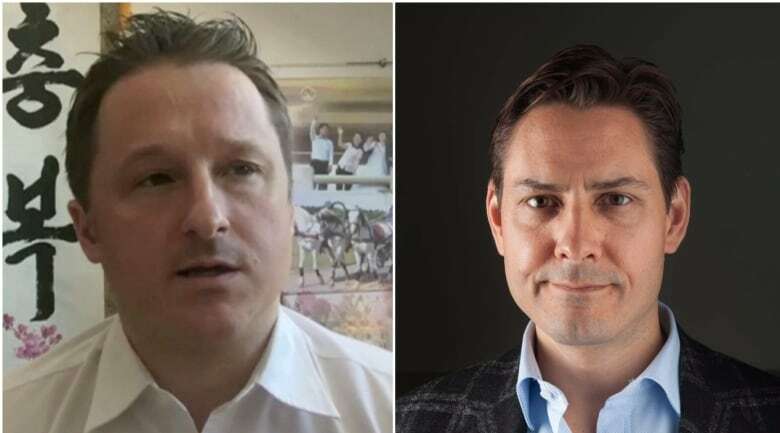 Earlier this week, Chinese officials detained Michael Kovrig, a former diplomat, and entrepreneur Michael Spavor on suspicion of “endangering national security,” said China’s Foreign Ministry spokesperson Lu Kang on Thursday. When asked if the detention of the two Canadian men was intended as retaliation, a spokesperson for China’s Foreign Ministry said they were being handled according to Chinese law. Scheer said it’s important that Canada has an independent justice system, and that police agencies continue to make decisions based on evidence and the rule of law. “We also need to make sure that we unequivocally denounce any type of repercussions to Canadians on foreign soil in China as a result of the actions of independent police agencies here,” he told reporters on Thursday. Kovrig served as a diplomat in Beijing and Hong Kong until 2016. He is on a leave of absence from the Canadian foreign service and is no longer protected by diplomatic status. In a briefing on Wednesday, Freeland told reporters the government has been unable to make contact with Spavor — whom she did not identify at the time — since he raised concerns about being questioned by Chinese authorities.